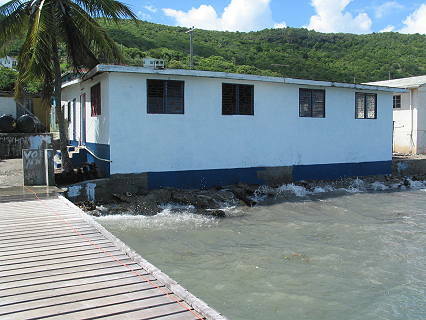 The Windward Bible Church meeting place was damaged by both Hurricane Ivan (2004) and Emily (2005). Click here to learn more. The Robinsons consider it a privilege and a challenge to have a part in the ongoing missionary work of Windward Bible Church. The ministry of Windward Bible Church is multifaceted and constantly expanding. 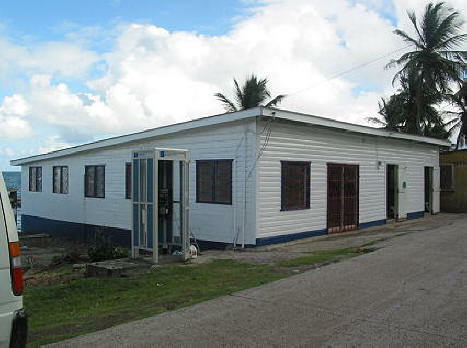 It began in July of 1992 with Bible studies held in the Robinson's rented residence, located in Meldrum on the island of Carriacou, Grenada. As of August 2000 our meeting place has been located on the main street and right beside the sea in the village of Windward (see upper right photo). Any visitors to Carriacou are welcome to attend worship our services.